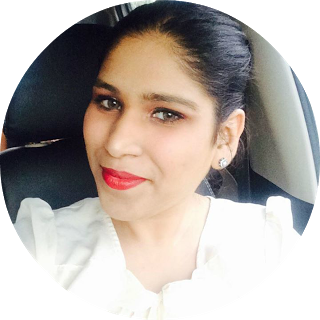 Spice it up with Maybelline New York's newly launched Baby Lips Spiced Up. With every application lips are reborn and feel supple, plump, moisturized, giving you intense care. Baby Lips Spiced Up comes in delicious flavors - Spicy Cinnamon, Berry Sherbet, and Tropical Punch that guarantee to delight. Pout in confidence this summer with the best lip balm in India, Baby Lips Spiced Up. Packaging : The packaging of the Electro pop version is much more adorable than the new Baby lips Spiced Up. I would rather have opted for this packaging rather than the old swivel stick packaging that was launched again. Color: I have picked up two of my most favorite colors from each range. 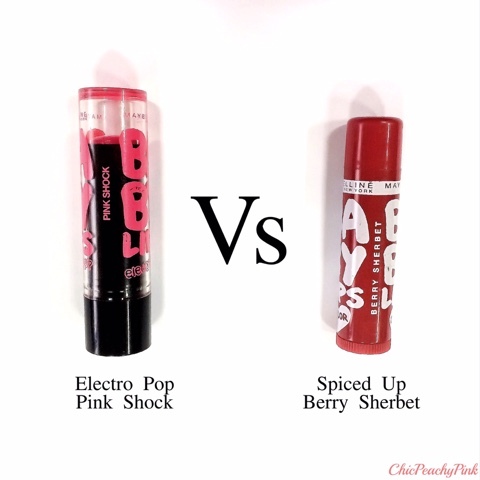 Among all the shades in the Spiced Up range I liked Berry Sherbet and in the Electro Pop range I liked Pink Shock. 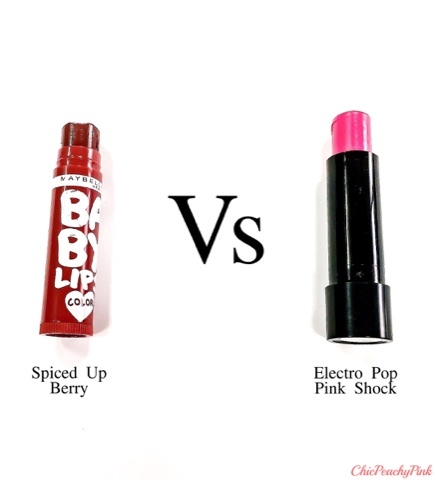 The Electro Pop range has neon colors while the Spiced Up range has intensely pigmented rouge shades in them. I like to add a pop of color to my lips now and then by applying the neon shade lips balm but I can't deny the truth that the Spiced Up version hides my pigmentation really well. If your lips are not that intensely pigmented then I would recommend you to try the shade Pink Shock of Electro Pop range. Scent: First of all I would love to point out that I absolutely adore how fragrant both these versions are by Maybelline. The Berry sherbet as the name suggests has a fruity cherry scent to it. The Pink shock has a watermelon scent to it. Though both are fruity scents the Berry Sherbet due to its notes seems to be more a sweeter fragrance than the Pink Shock. Price: Maybelline Baby Lips Electro Pop -Rs. 165/- for 3.5gms. Maybelline Baby Lips Spiced Up- Rs. 175/- for 4gms. The price of both the products is nearly same so there cannot be any form of comparison in this. 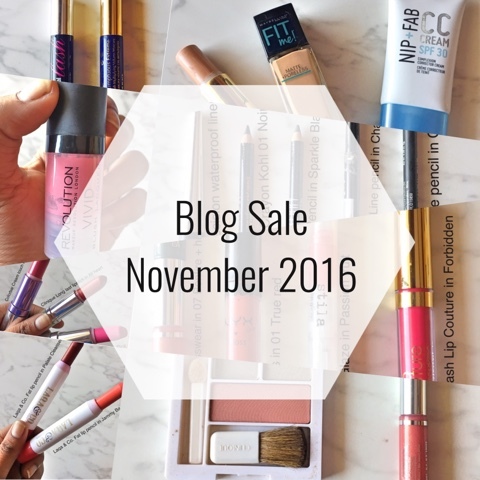 However, there is is a 20% sale on Maybelline products at Nykaa and Purplle at the moment. Texture: The texture of both the Baby Lips versions is super light in nature. However, I feel that the Baby Lips Spiced Up is more buttery and creamy on application due to which it lasts longer than the Electro Pop. Spiced Up seems more hydrating to me than Electro pop range. Staying Power: The staying power of the Spiced Up version is 2-3 hours with light meals and doesn't transfer much onto glasses but the 12hr claim is a bit of an over exaggeration as per me. The Electro Pop also has a staying of 2-3 hours but it doesn't survive even light meals and gets easily transferred. Even after a meal there will be a light stain that stays on the lips which looks quite pleasant and natural. Overall Verdict: I am really impressed with the new baby lips Spiced Up version in nearly every way other than the packaging. I would have preferred the earlier Electro Pop packaging in this case. However, all in all both the products are amazing. Hope you liked this blog post and the comparison I have made in between both the ranges. Have you tried the new Baby Lips Spiced Up? 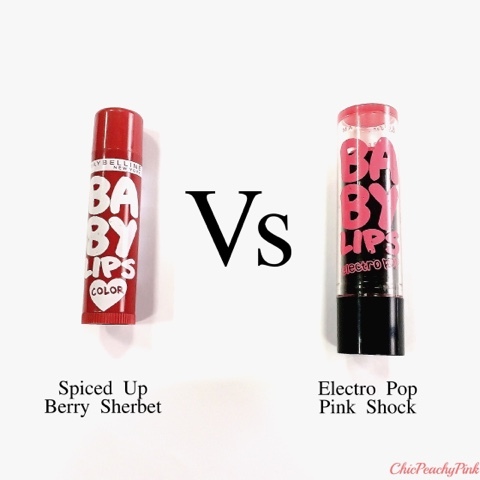 Which range do you like better the Baby Lips Spiced Up or the Baby Lips Electro Pop? Drop in your opinions in the comments section below. Great comparison. I have only tried the original baby lips. great post hun;)i liked both the lip balms equally!!! Nice post dear. I somehow like electro pop's packaging.. It's so cute ! i like this lipstick! I have it in yellow color) Thanks for post! Great post, I like berry better. Gosh I love the shades! Great shades, the Berry Sherbet is very pretty and summery! Great review + comparison, lady! Great comparison.. I have not tried both and may get one each from both ranges.. to give a try! 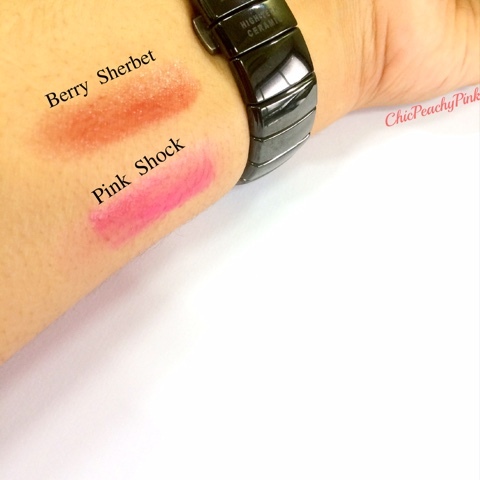 I'm in love with pink shock but still to try spiced up range..this is beautiful comparison between two. Wow, would love to try it! Great tips darling! I love the colors!! Thank you for your detailled test! Now I'm relieved I can buy both products as I trust in your opinion! They both are soo good.. I think you should certainly buy them both. It certainly is really good product. Lol I do too. They are really soo good which us your fave shade?